My little girl loves to see everything that’s going on. So, today when I had to go shopping I knew I couldn’t keep her in her infant carrier without a lot of crying. 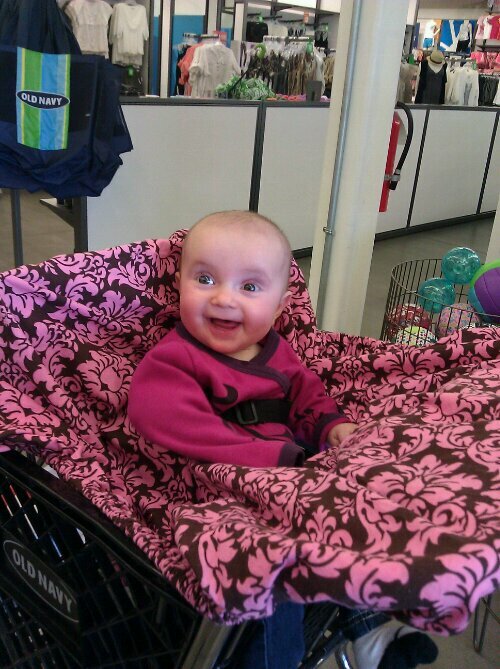 I decided we would see if she was big enough for the shopping cart…covered by her Sprout Shell of course. what age did your kids start siting in the shopping cart? She’s almost 6 1/2 months. We’d love to see any pics of tour little ones using their Sprout Shells too!